The force is strong with these two. 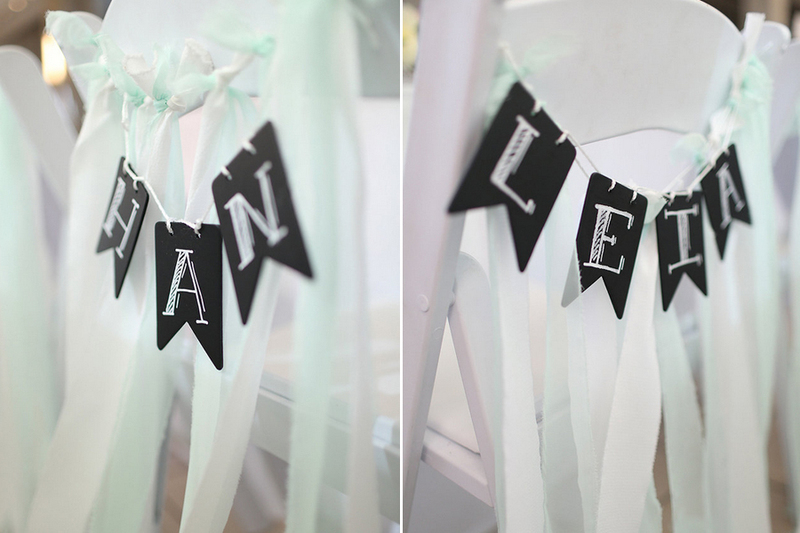 At their September 2014 wedding, Los Angeles couple Jennifer and Joshua found a way to make a "Star Wars"-themed fête elegant, tasteful and loads of fun. They said their "I dos" at loftSEVEN Penthouse in Downtown L.A. and incorporated plenty of geek-chic touches that would make George Lucas proud. The bride was the one gunning for the "Star Wars" theme -- not the groom, as one might assume. Jennifer told The Huffington Post that her obsession "runs deep". She even makes YouTube videos about all things "Star Wars" and has cosplayed as Miss Death Star. 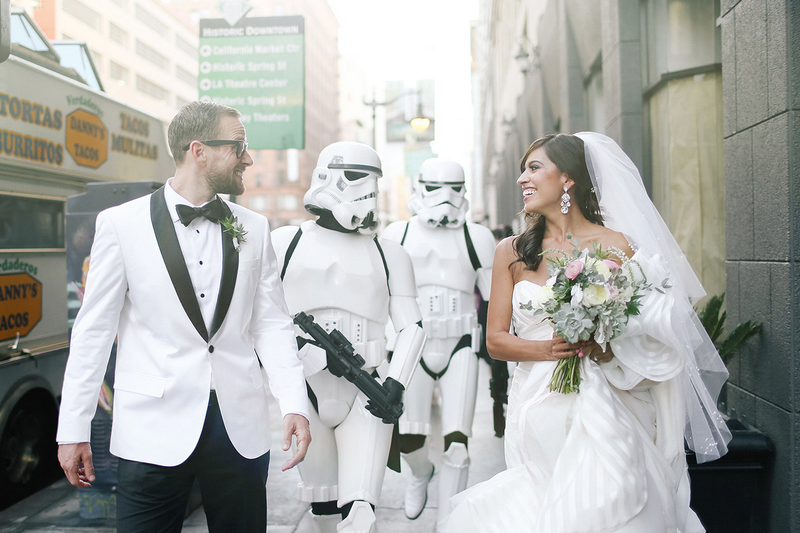 "My husband and I decided that if we kept the 'Star Wars' details more subtle, it'd be a fun and whimsical way to show my love for that galaxy far, far, away," Jennifer told HuffPost Weddings. "Although when it came to the reception, we decided to let loose and have lightsabers for all and an appearance from the Darth Father of the Bride!" Handmade by the bride herself! They are ROCKING those sidebuns. The twosome greeted guests upon arrival, escorted the bride up to the aisle entrance and stood guard throughout the ceremony. The Wampa even wore a bow tie. So classy. Family and friends wrote their well wishes in "Star Wars" books. Like Jedi Knight, Scout Trooper, Wookiee and Ewok. The father of the bride went all out! He added authenticity by using the Sith Lord's heavy breathing sound effects. Lightsabers on the dance floor. Ain't no party like a "Star Wars" party! Josh + Jennifer from Jack Costello on Vimeo.